Got a small garden? California designer Susan Morrison and author of The Less is More Garden: Big Ideas for Designing Your Small Yard, puts the plus into downsized spaces (to adapt for big gardens, too). In Georgetown, Lori and Jack Shreves pack wildlife habitat, art, food-growing, and clever ideas into a small contemporary-styled cottage garden design. Daphne analyzes temporary fungal problems and fatal rose rosette disease. John’s got berry-good tips for planting strawberries in November for spring’s sweet treats. On a busy street in Georgetown, Lori and Jack Shreves pack wildlife habitat, art, food-growing, and clever ideas into a small contemporary-styled cottage garden design. 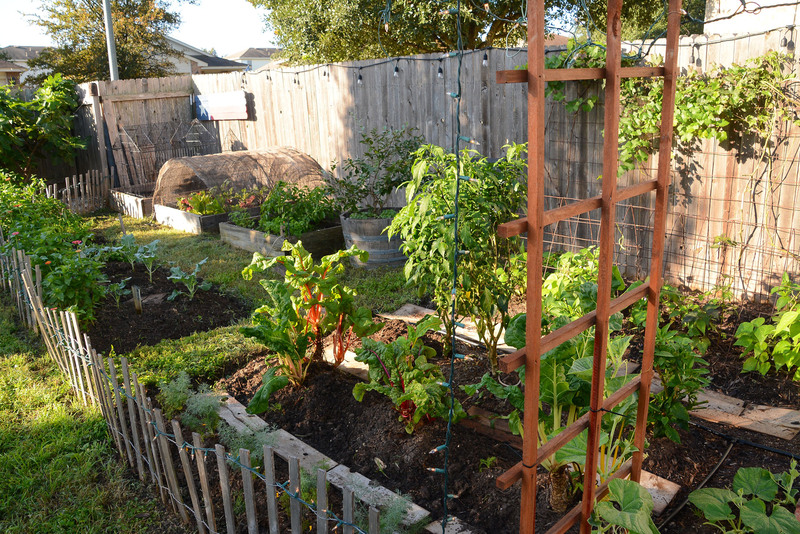 Got a small garden? 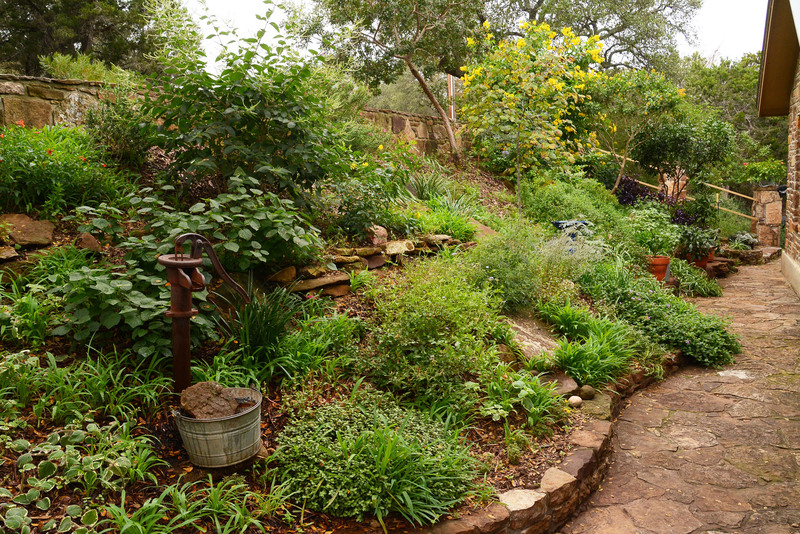 California designer Susan Morrison and author of The Less is More Garden: Big Ideas for Designing Your Small Yard, puts the plus into downsized spaces (to adapt for big gardens, too). Browned leaves, mushrooms, rose rosette disease: which is serious? High humidity and record rainfall can create fungal diseases, pop up lots of mushrooms, or cause plants to decline. Some problems are temporary, like browned, yellow leaves on Lise’s oakleaf hydrangea. These plants are considered medium water-use plants, so they can take the heavy rain she got, but only if they have good drainage. For now, prune out the damaged tissue. The plant should recover when the new growth emerges. But if the problem persists, consider digging up the plant and improving the soil drainage before replanting. In Houston, Don reports that his beloved spider lily, Hymenocallis ‘Tropical Giant’, seems to be rotting. 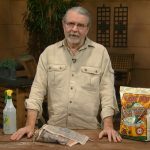 In our experience, Hymenocallis is pretty indestructible, but since Don lives in Houston, we reached out to Harris County Extension Horticulturist Skip Richter. Skip tells us that Hymenocallis is one of the least disease-prone plants out there, and has even seen them thriving in soggy ditches in Houston’s heavy clay soils. It appears to me that all this beautiful plant needs is to be divided. Mushrooms have astounded us all with their diversity and colors during this rainy fall. They aren’t a problem, and in fact, are beneficial to the soil. If your dog likes to chomp on them, simply cut off the tops and leave the mycorrhizae to continue the symbiotic relationship with plant roots. Absolutely, do not eat garden mushrooms unless you’re an experienced mycologist! Rose rosette, however, is a fatal disease. Dr. Kevin Ong, with the AgriLife Extension Plant Disease Diagnostic Lab, has been documenting cases of rose rosette disease across the state. He recently got in touch to let us know that this dreaded disease has finally been confirmed in Austin and San Antonio. Sadly, there is no treatment at this time, and infected roses should be dug up and sent to the landfill. If you notice symptoms and want to confirm, here’s how to send your sample to Dr. Ong’s diagnostic lab. John Dromgoole’s got berry-good tips for planting strawberries in November for spring’s sweet treats.